A MOST ANTICIPATED BOOK OF 2019: Entertainment Weekly | USA Today | Parade | Cosmopolitan | New York Post | PopSugar | Goodreads “Exhilarating, emotional -- a thriller charged with genuine depth and raw power.” — A.J. Finn author of the #1 bestselling The Woman in the Window "An absorbing treat." — PEOPLE Magazine “The corporate malfeasance and shady conspiracies of John Grisham, with the frank feminism of two rounded female protagonists.” — Entertainment Weekly They say your daughter is dead. You know they’re wrong. 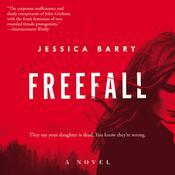 When her fiancé’s private plane crashes in the Colorado Rockies, everyone assumes Allison Carpenter is dead. But Maggie, Allison’s mother back home in Owl Creek, Maine, refuses to believe them. Maggie knows her daughter – or she used to, anyway. For the past two years, the two women have been estranged, and while Maggie doesn’t know anything about Ally’s life now – not even why she was on a private plane to begin with – she still believes in her girl’s strength, and in their love for each other. As Allison struggles across the treacherous mountain wilderness, Maggie embarks on a desperate search for answers about the world Allison has been involved in. What was she running from? And can Maggie uncover the truth in time to save her? 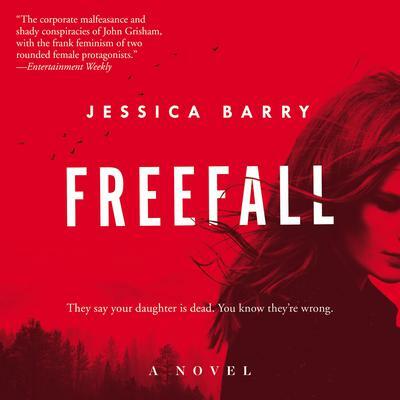 Told from the perspectives of a mother and daughter separated by distance but united by an unbreakable bond, Freefall is a heart-stopping, propulsive thriller about two tenacious women overcoming unimaginable obstacles to protect themselves and the ones they love.